I was looking at some truly magnificent graffiti art on Carl Milner’s blog post, Graffiti Factory, when in our exchange, the word VandArt came to me. In a creative flash, I had coined a new word – VandArt – as an abbreviation for Vandalism Art aka Graffiti. Don’t get me wrong, I love art and graffiti as an art form has always fascinated me; especially with its ties to hip hop culture. 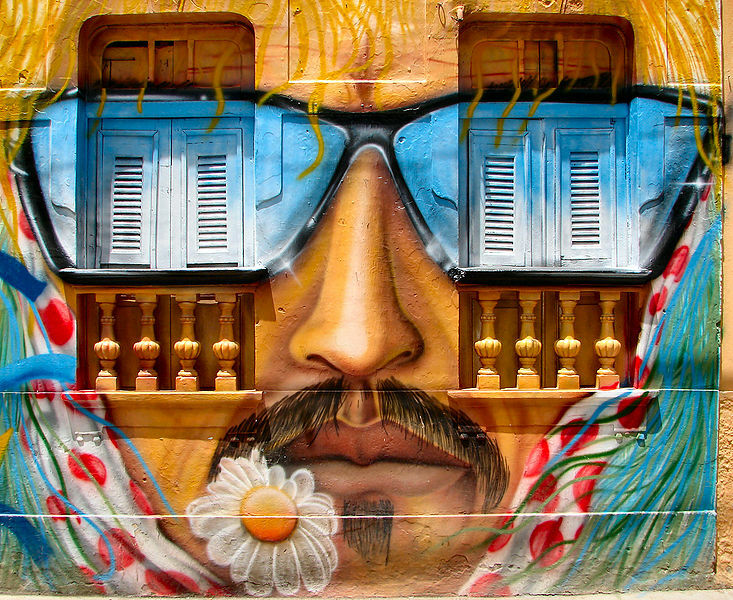 But, in its early days, graffiti was viewed as a form of vandalism… Of course, over the years, what used to be perceived as a nuisance or an act of vandalism evolved into more acceptable forms, and found its home in galleries and museums around the world. 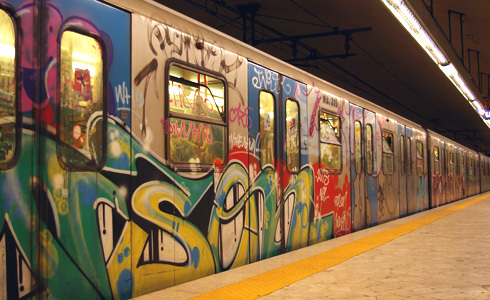 People like Keith Haring, Jean-Michel Basquiat, Lee Quinones, King Robbo, Banksy, Kenny Scharf, John Fekner, Pixnit, Crash, Lady Pink, Alexander Brener, Dondi, Zephyr, Heathcote Williams, Blek le Rat, and a host of other artists elevated the form by going beyond defacing subway trains and public spaces. VandArt was not just about the external form but about the greater internal message; the inner stance of the artist. As Aristotle explains: The aim of art is to represent not the outward appearance of things, but their inward significance. 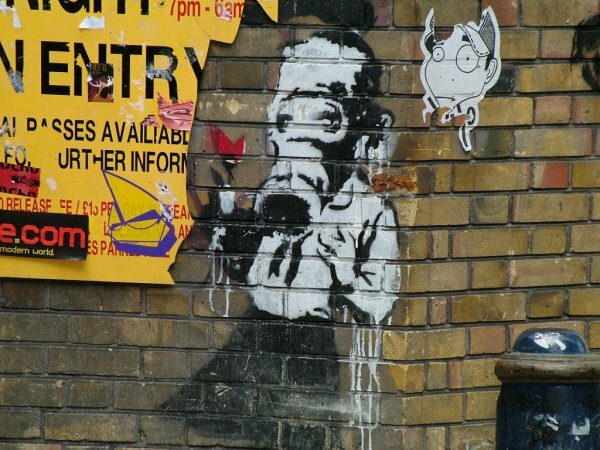 What do you remember about Graffiti? More below! 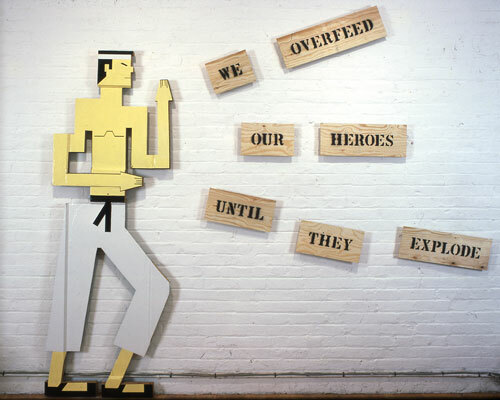 Haiku: VandArt For You… Fekner, Overfeed. When I think of VandArt, (which is, in my opinion, anther name for graffiti), I see it more as a form of defiance; an out of the box approach to the creative process, and a deliberate artistic effort to display art on all/any available surfaces… sort of following the notion that the personal is political = art is not separate from daily living. As Paul Strand suggests above, the artist’s world is limitless. I agree. Why should art be defined through narrow perspectives or limited mediums? The in-your-face forcefulness of VandArt/Graffiti made us all aware of this particular form of free flowing, explosive, colorful, passionate, abstract, politically charged, personally empowering art. This post was inspired by a prompt from WP Daily Post: Daily Post Prompt #3 – Your blog just became a viral sensation. What’s the one post you’d like new readers to see and remember you by? Write that post. And Daily Prompt: Play Lexicographer. Create a new word and explain its meaning and etymology. via Wikipedia, via Flickr, or via my personal collection. I have decided to play lexicographer « artist. hippie. cali chick. chic. nerd. beach bum. fashionista. Play Lexicographer | Behold my Drawesomeness! I agree wholeheartedly, Elizabeth–VandArt is revolutionary. 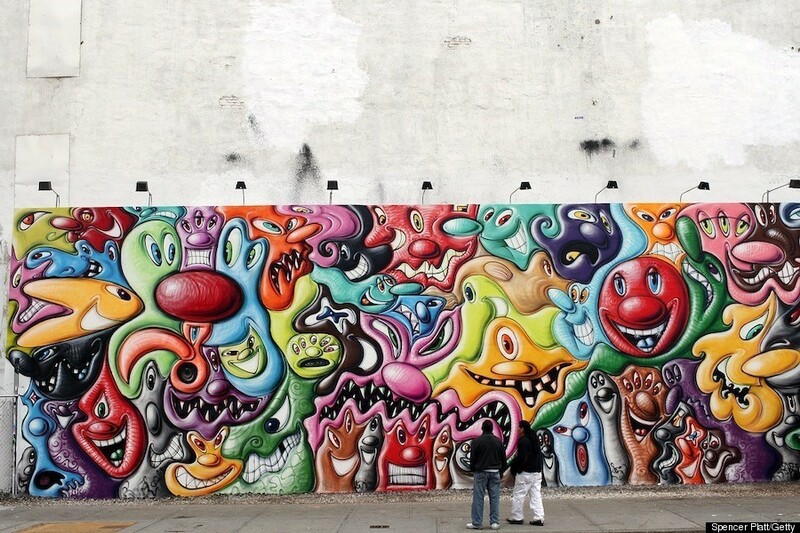 One of my favorites has to be David Choe. VandArt – yes, great word. Good post, Elizabeth. I have very mixed feelings about graffiti. Some of it is very artistic indeed, and actually beautifies, whilst some is very ugly and defacing. Interesting! had never heard of VandArt. Nice pictures! Wow, quite an interesting variety of art! VandArt has a bit of a nice ring to it. I refer to it as “street art” and I’m really obsessed! 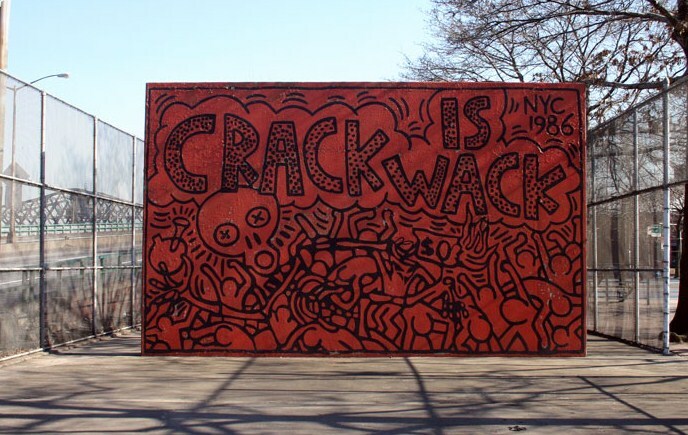 That Crack is Wack one is one of my favorites, especially growing up. I used to always pass by that in Harlem on my way downtown. Hi. What does kismet mean please? I read it in one of your profiles. I had a restaurant down below my apartment here…on the street named Kismet for 4 years and I spent all of those years thinking that kismet meant a couple who kiss when they first meet each other and that that is how they met. L o l. It was a pretty good restaurant. They had frothy dandelion coffee! This is very informative! I learned a lot from it and enjoyed the art/artists you featured. I agree that we can’t put limits on the creative process. We can choose what we like but to define one thing as art and another as not art is silly. Art is whatever our creative mind contributes to the medium. Have you seen documentary “Exit Through The Gift Shop”? Really worth the watch. I think people are more and more accepting and appreciative of street art now more than ever. That’s also because street artists are getting better and better. And, they’re no longer that much of activist type of message, but more on the focus solely on art and expressions. A must! 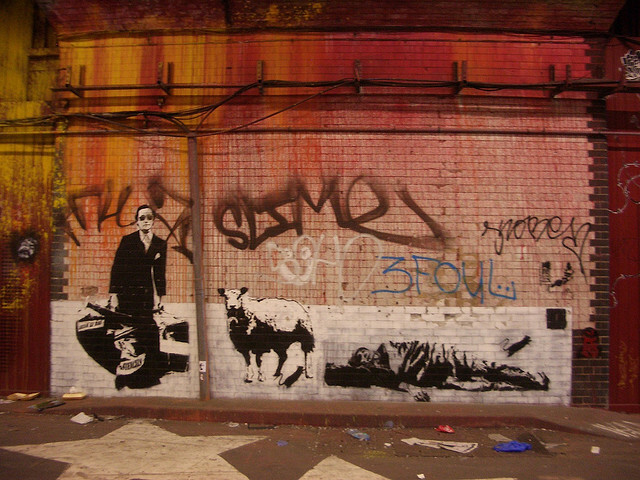 It features Banksy. I just wish this grafittis are in canvas so its maginificence and beauty can be appreciated by people all over when seen in person. This are unsung artists. Artists who express their passion without thinking what the material world has to offer. It kind of puts to shame the million dollar paintings in museums. I know they were made by great artists but unlike the unsung artists, they are sold commercially for a price.Great post my friend. 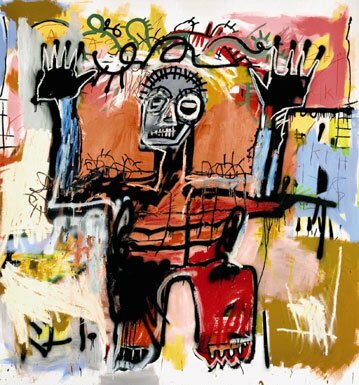 Great post on a little understood “art” form and subculture. Those walls are insanely gorgeus!! Years ago, an Afr-Am artist shocked me when he said that galleries and art institutions “legitimize” art. I can’t tell you how infuriated that comment made me. After working for several years in the art world, I understood exactly what he meant. As you point out, there was a time when graffiti was considered vandalism. Not anymore. 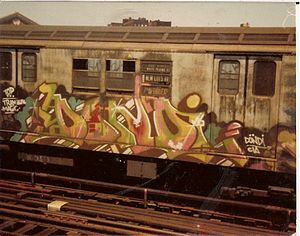 I still remember those NYC trains and buildings that were covered with graffiti. 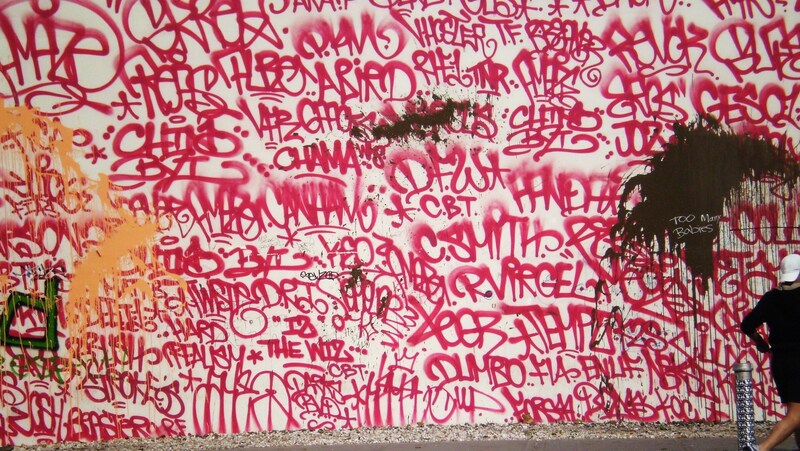 In fact, I have a book of photos of some of the graffiti that used to be on the subways. 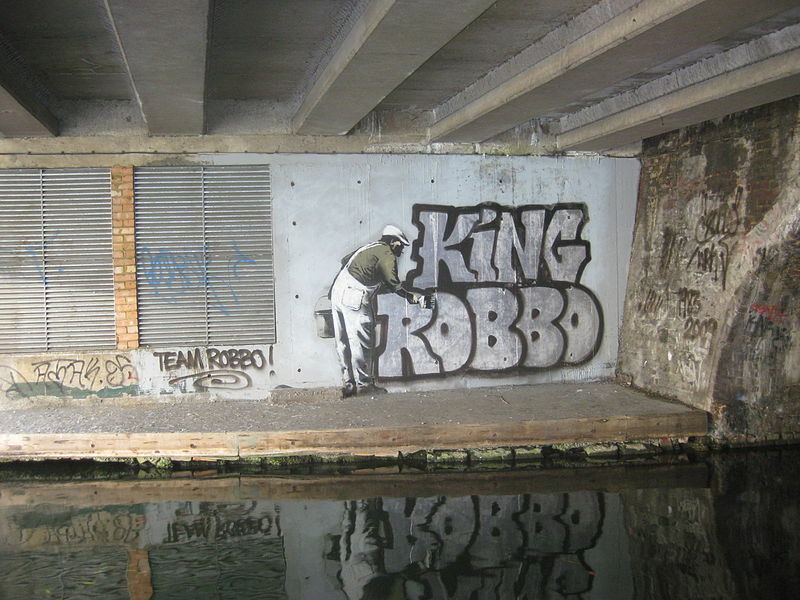 I am in awe of graffiti artists – their work blows me away, especially since I can’t draw a lick! Thanks for this, Elizabeth. Love haiku and even better mural. the photos are so cool! Love it deeply! All this art is so cool!! I love how it looks. So amazing what one can create when they invest their mind into something!